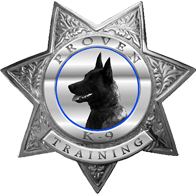 In our group training classes we cover; Basic Obedience, Advanced Obedience, Protection/Patrol, and Scent Detection. To reserve your spot please contact us or register below! Per class option requires payment for your first class today.